TripAdvisor has just announced the recipients of their annual Certificate of Excellence awards and the Sheraton on the Falls hotel is among this year’s winners. 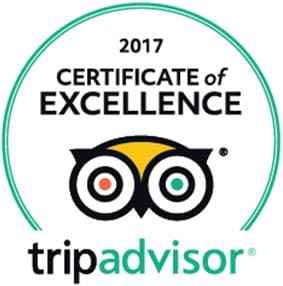 The Certificates of Excellence honour select accommodations, attractions, and restaurants that demonstrate a consistent commitment to excellence in hospitality and also hold an overall rating of four out of five or higher as reviewed by users on TripAdvisor. The Sheraton on the Falls is a top Niagara Falls accommodation destination and offers 669 guestrooms and suites located just steps away from Niagara Falls. Each of the Fallsview guestrooms features floor-to-ceiling windows that overlook the breathtaking Horseshoe, American, and Bridal Veil Falls along with luxurious beds and amenities. The hotel is also home to the amazing Fallsview Buffet Restaurant, Windows by Jamie Kennedy Fresh Grill & Wine Bar and the beautiful Christienne Fallsview Spa. Windows by Jamie Kennedy Fresh Grill & Wine Bar is a farm-to-table dining experience featuring seasonal dishes made with high-quality local ingredients, while the Christienne Fallsview Spa offers incredible relaxation and rejuvenation treatments like the Cucumber Avocado Refresher Facial and Mint Melon Mojito Pedicure. The Christienne Fallsview Spa has also been awarded a 2017 Certificate of Excellence and is a truly one of a kind spa experience. Book a stay at the Sheraton on the Falls this summer and experience the very best in accommodations, amenities, and dining that Niagara Falls has to offer.